WPH offers a complete plant rental service including quality equipment, skilled operators and customized management ensuring that your project develops as smoothly and efficiently as possible. It is our extensive experience that enables us to provide exceptional customer service. Our late model low hour machines can be supplied on a fully wet or dry basis depending on client’s needs. All Plant and Equipment supplied by WPH is regularly and routinely maintained by our experienced maintenance personnel. 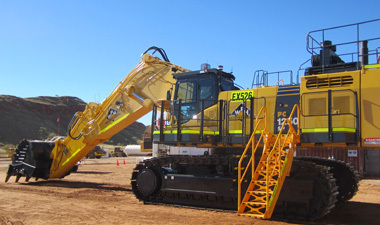 With workshop facilities in Perth, Kalgoorlie, Nullagine and Dampier, and fully equipped field service fitters on the road, we are always available to back up the equipment we supply. As we have an extensive fleet our capability to support long and short term projects is second to none. DON’T SEE WHAT YOU NEED? WPH have built a reputation for delivering fully maintained whole of fleet solutions and individual hire solutions, safely, quickly and efficiently, and if this means expanding our fleet to suit YOUR needs, that’s what we’ll do!